Imagining the worst. You’ve done it. I’ve done it. We’ve imagined a shooter walking into the darkened theater as we’re enjoying a Marvel movie with the kids. We’ve imagined the airplane on take-off suddenly plummeting to the ground. Whatever the scenario, for sure, there’s no lack of imagination on our part. 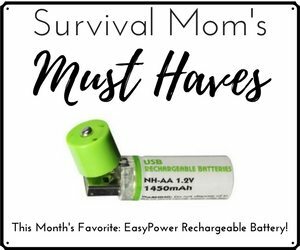 If you’re a Survival Mom reader, chances are you are very aware of threats that endanger our homes, families, and lives. Unfortunately, this isn’t the case with many decision makers in our government, and Failures of Imagination by Michael McCaul highlights this sad fact. Following the terrorist attacks on 9/11, the 9/11 Commission Report, observed, “The most important failure was one of imagination.” Collectively, the best and brightest among military, national security, law enforcement, and government agencies at all levels, simply did not recognize the potential threat of coordinated airplane hijackings — and 2,977 moms, dads, sons, and daughters lost their lives. Failures of Imagination highlights 8 threats that are neither outlandish nor impossible — threats that, McCaul assures us, have been actively considered by terrorists. To anyone keeping up with the headlines, these events, although extreme, could easily be featured on tonight’s 6 o’clock news. Many of us have become numb to yet another terrorist attack, but even for those not interested in hearing about terrorism, terrorists and enemy nations continue to focus their malignant attention on all of us. The feature that makes Failures of Imagination highly readable and entertaining are the short, fictionalized vignettes of each attack. Through the eyes of victim and attacker alike, we see the event played out as though it were a novel, but then, each scene switches to a real world analysis of the attack in an EYES ONLY report to the President. I’m no fan of shopping malls, and shopping in general, actually, but I’ve visited the Mall of America, and this particular attack caught my eye. I’ve never forgotten the terrorist attack on the Westgate Mall in Kenya back in 2013. Chapter 4, Black Friday, introduces the reader to a fun loving father and son team whose passion is roller coasters. They travel around their country seeking the biggest and fastest coasters, with their final, tragic destination being the SpongeBob SquarePants Rock Bottom Plunge at the Mall of America. Coinciding with this long-anticipated visit is the arrival of another cast of characters, American Somali terrorists. Radicalized by members of a Minneapolis mosque, this group of well-armed, well-trained gunmen, driven by intense hatred for all things American, target shoppers randomly, killing 267 and wounding 1,191. This particular vignette was riveting because it traced the journey of an American born and educated man, Omar Othman Ali, from his life as a cab driver, barely making ends meet, to becoming the mastermind of the mall attack. Hundreds, and probably thousands, of other Muslim men in America make a similar transition, which is unsettling, too say the least. The EYES ONLY report provides an assessment of damage, current state of affairs in the Minneapolis area, and then McCaul provides in depth information, answering the questions, could it really happen and what can we do to stop this? Catch more foreign fighters in the United States. Catch more foreign fighters abroad. Shine light on the “Dark Web”. Ironically founded and still funded by the United States, the Dark Web is where much of the planning by terrorists occur without much danger of being discovered. Use conventional military resources to target commanders. Based on my readers’ responses to past book reviews, I know that apocalyptic fiction is very popular. For those readers, you will completely enjoy the fictional dramas that open each chapter. The stories, although brief, captivated my attention. These are very well written. 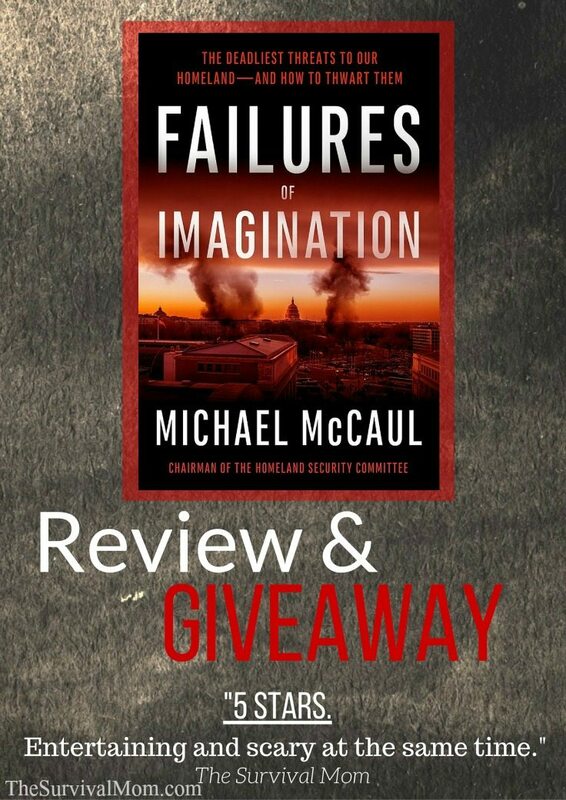 Visit the official website of Failures of Imagination and enter this giveaway to win one of 10 copies! Many of these scenarios are on my mind frequently. I think about how easily the many little kiosks in malls could be wired with bombs and detonated remotely, or about how easily a bio-weapon could be launched, or shootings in large gatherings. While there are many books about scenarios such as these, what is appealing about this book is the commentary at the end of each chapter with the real world analysis and possible ways to stop or prevent such attacks. This is a book I look forward to reading. Looks like an interesting & informative read! Hmm…now this I would be interested in reading! I’ve imagined a number of these scenarios on my own — would love to read another person’s take on them and possible solutions. Would love to read this book. I am always on the hunt for new books with new possibilities. So many situations that you can prepare for. Definitely on my short list to be read ASAP! I think you’ll really enjoy it, Lindy. I liked the insider information he includes. I would very much love to have this book!! Nearly every day I imagine what kind of catastrophy will happen next, when & how much more severe than the last? We definitely live in some pretty scary times and I grew up feeling very safe & secure, never dreamed that one day I’d be afraid nearly every day of my life and knowing that the United States cannot keep me safe as I’ve always believed. This book definitely looks like it’s a must-have!! I love this sort of genre as well. 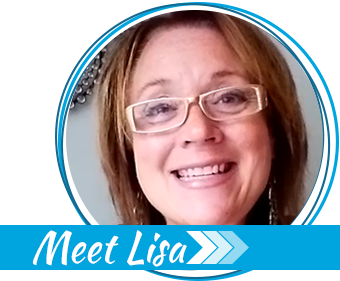 While I try not to let the “what ifs” overtake me, I am both entertained and more aware of what I can (or can not) do to help myself and my family. Love reading these types of books and looking to see how well they really could play out as well as what I should be looking for. I try to think of skills that I would need in different types of events and how best to teach my children to think and act for themselves; without scaring the mud out of them. I would love to read this. If our leaders would just think, they would know they are not protecting us. There are so many threats, in today’s world, it is nearly over whelming. That’s where faith enters the picture. Without it, how can one survive? I can only hope that people in government will actually take these threats seriously enough to do something to prevent them from happening. Until then I can only continue to prepare for my family’s survival. Trying to encourage those I know to become more aware of possibilities. This book would certainly be helpful. I’d like to read this. The insider information he includes sounds like something that would be good to know as well. I would like to win and read this and make my husband and sons read it. Maybe they won’t think I’m so “crazy” after all. Although I’d prefer not to think on matters such as these, such is not possible. Prepping, in and of itself, requires that we consider that such could happen. The book sounds interesting; i’d like to have a copy to read. Last, it’s good to know that someone on the front line is actually aware that scenarios like those addressed could occur. Thanks for the opportunity to win a copy. I’m going to the library tomorrow to pick up Ted Koppel’s book “Lights Out.” I’ve been on a waitlist for almost 2 months – which I think is a positive thing since that means people are reading it. Based on your review, I’ll need to add this one to my reading list! I also like that he lists “action items” at the end of the chapters. I saw a review of this from Drudge and I am interestedin this. Definitely going to buy it. Well, now you have added another one or two to worry about before I fall asleep ! But it is better to be knowledgeable beforehand. I can’t wait to read this one! I just finished One Year After! Definitely want to read this. My husband and I have made a habit of always surveying our surroundings. What is most infuriating is the total lack of security/response plan at schools. We even went so far as to speak with a principal at a local elementary school and her comment to us was, “Are you kidding? We live in Mayberry.” This is the mentality of most people I know. Our district did a practice evacuation. Each school had their own evac day. The district told parents they could participate in the drill, but that it was optional. When we got there, it was beyond disorganized. And only maybe 10 parents showed up, not 600. And this was a single-school drill. Not a district wide evac. They asked for feedback, and we submitted a comprehensive plan. To our knowledge, no adjustments have been made. Definitely scenarios to consider while prepping. My husband works downtown and my family frequents malls. Especially my teenagers. Looks like a very good and informative book! Even being in a less populated area, away from a major city, is going to be affected if any of these threats happen. 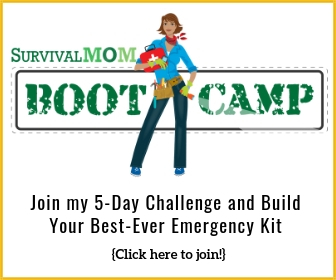 I would love to read and share these books with all our prepper friends and family. The Lord is always sending us info. like yours our way to be prepared. God Bless You! I would love to read this book. Even knowing it will scare the mess out of me, I would still read it. Interesting way of presenting this subject. Sounds like a great read. Hoping to win. Thanks for having the give away! The Mall of America scenario comes very close to home. After 9-11 a friend of mine in Minnesota was getting married on September 21. I had plane tickets to Minneapolis and a hotel room across the street from the Mall of America……..I thought a terrorist attack causing American women to avoid shopping malls would have serious economic consequences……but I don’t believe Americans are cowards……I flew/stayed/shopped….but I did borrow a friend’s Cipro prescription, just in case……….and needless to say, all airline personnel were delighted to have a passenger and I received excellent customer service. Even if I don’t win, I will read this book and share it with the skeptics in my family. Looking forward to either winning or purchasing this book, as it looks well worth my time to read. Definitely on my READ list! I have thought about all of these scenerios and wondered how they would play out. This book sounds so good…I can’t wait to read it. I recently read “One Second After,” and it was the scariest I’ve ever seen (my husband is both on dialysis and diabetic). I’ve considered several of these ideas myself, so it seems unlikely that an enemy would have ignored them. Looking forward to reading this. I appreciate your review and will definitely put it on my list to read. Thanks for the chance to win it. 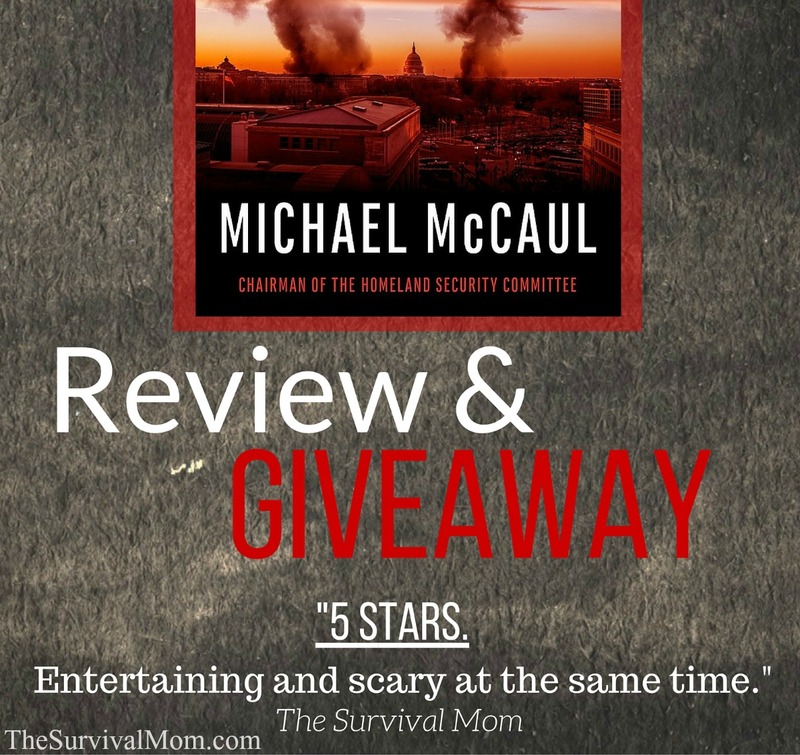 Sounds like a book every prepper should read. I’m reading, One Year After, right now…can stack another book next to the easy chair. I would love to read this book. I try to really keep up with current events and probable scenarios. Getting to read a book from an “insider” would be a great opportunity. The electric grid going down is a big one because within a year over 90 percent of the population would be dead. People don’t understand that the large transformers are basically not made in the USA. There is now one company making some here in the USA. The power company’s do not have but a very few back up transformers on hand to replace the largest ones that take about 3 years to make. Then to get them up where they belong without working boom/line trucks would basically be impossible. I fear North Korea and the Middle East more than Russia. I fear China who is owed Trillions of dollars by the USA who has no way to pay China back and is struggling to even pay the interest on those loans. Well said Lauralee and once our “communication” is broken, we, meaning any individual, are on our own, and cohesion and organizing is dead. But most Liberalists won’t even entertain the idea that Obama, as well as many others, are leading us directly into danger, /besides/ the natural or terrorist-caused ones. I can’t remember which movie it was in, but I remember an apocalyptic disaster being described as “caused by a lack of imagination” or something to that effect. I remember thinking at the time that it sounded like a book or movie title. I like the premise of this book because it goes outside the box on ideas of terrorism. People always think about governments being attacked, but the real threats to me is a shooting at the mall, the local schools or an EMP attack. Lately, a snow storm or rain storms cripples us, so if we experience, terrorism we need need to be prepared. I like to be informed, to be prepared in case of a disaster. I appreciate this opportunity to enter for a chance to win this book. This book has captured my imagination. I can’t wait to read it and hope I win one of the free copies. It is just a matter of when. And with KNOWN Terrorist Training Camps HERE in the U.S. and not being stopped, I’m guessing it will be sooner and with greater effect than we have “imagined”. Who would have thought of flying into the World Towers afterall? Well, if /I/ were going to attack (they say if you want to catch a criminal, think like one…same goes for terrorist), I would do so at many different levels and locations all at the same time . It’s already been done in Paris. Even if some were small, it would cause such WideSpread CHAOS and overload on ALL the systems, that it would soon break down everything!! Don’t discount it!!! Don’t hid your head in the sand people!! We are NOT TOO BIG to FALL!! I see it getting closer every day. Thanks again for keeping me in the loop on new books! What is funny about these scenarios is that I thought that there could be a terrorist attack at several malls on Black Friday this year. I know that lots and lots of people are out then and are not paying a lot of attention to anything but what is on sale. Its very sad to think that I have more imagination than our leaders and those who we think can protect us. 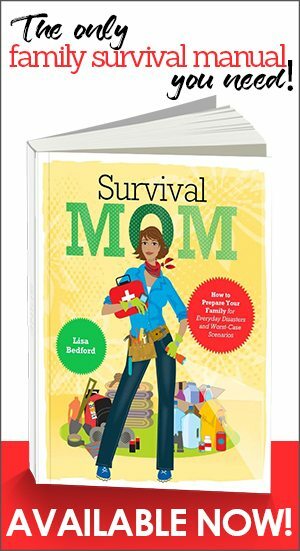 Very disappointed that the competition to win a copy of this exciting book closed on the 26th Jan and I didn’t receive the survival mom email newsletter until the 1st Feb…….